Hello, welcome, and thanks for taking a moment to check this out! 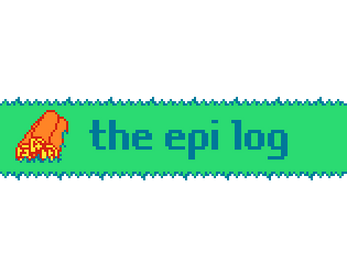 You're looking at the epi log, my experiment of maintaining a blog on itch. I had been maintaining a blog on my own site for a bit, but I wasn't keeping up with it how I wanted to. I also figure this might give me an excuse to write devlogs for all the prototypes I've been making. Most of what you will find here is video-games-related, but anything about one of my own games will likely be under the devlogs on that game's page. I also want to make some visuals and what-not to compliment what I write about. Those will end up in the "screenshots" and files sections, when they finally exist.